number one. ludwig van beethoven had his first debut performance as a pianist on march 29, 1795 in vienna. first performances: fourth symphony in b -- march 5, 1807; missa solemnis -- march 26, 1824; string quartet no. 13 in b flat major (op 130) -- march 21, 1826. he died march 26, 1827; three days later, 20,000 attended his burial in vienna. the task: pick ONE of the pieces mentioned here, play it three times -- first with your eyes open, then with your eyes closed, and on the third, write down the things you imagine as you listen -- maybe your high school teachers did this sort of thing during english class. my junior teacher was really fond of this kind of writing assignment. share what you wrote with the rest of the class -- and DON'T worry about writing style and grammatical correctness. just write. let your mind wander. where does the music take you? i did listen to a few minutes of each of the beethoven selections, picked the one i liked (fourth symphony in b) and listened to it all the way through. number two. tennessee williams and edward albee were born on march 26, 1911 and march 12, 1928, respectively. elizabeth taylor won a golden globe march 10, 1960 for her performance as catherine holly in the film version of williams' suddenly last summer. she divorced eddie fisher on march 6, 1964 and married richard burton nine days later. taylor and burton starred in the film version of albee's who's afraid of virginia woolf? she starred with paul newman, who, by the way, won best actor march 30, 1987 in the 59th academy awards for his role in the color of money, in williams' cat on a hot tin roof. the task: watch ONE of the three: suddenly last summer; who's afraid of virginia woolf; cat on a hit tin roof. what are the two best lines of dialogue in the film; what two things make the film noteworthy? i borrowed suddenly last summer and cat on a hot tin roof (have already seen who's afraid of virginia woolf -- DEPRESSING AS HELL. DON'T WATCH IT) from the library. they're sitting on my desk. number three: vincent van gogh caused a sensation with 71 of his paintings at a show in paris on march 17, 1901 -- eleven years after his death. his sunflowers sold for a record 22.5 million pounds ($39.7 million) on march 30, 1987.
the task: find and view the van gogh armchair travel exhibition on screen: van gogh - a new way of seeing. what three things did you learn about the artist from that production? what's your favorite of his paintings? share three things you love about that work. one. he and gauguin only lived together for two months. i'd thought it was longer than that. two. he did eighty paintings in seventy days; the last of which was tree roots, not wheatfield with crows. three. his brother had arranged for a funeral service to be held at a local church, but the officiant canceled the service because van gogh had committed suicide and was protestant; his funeral was held in the auberge dining room, with his coffin on a table and as many of his paintings as they could fit. one. he created it, despite being in the throes of madness, as a gift for theo and his wife and their baby. two. i'm constantly amazed at how fragile it looks. three. i like the peace of it. number four. kerouac, campbell, sedaris... jack kerouac, aaron eckhart and dave eggers were born on march 12th of 1922, 1968 and 1970, respectively. earl campbell, perry farrell, amy sedaris and billy bean were born on the 29th of march in 195, 1959, 1961 and 1962. pick three of these celebrities and learn four new things about each of them. read a book or watch a movie that is about them. if you live in texas, for example, campbell was born in tyler; make a trek to that town and find a statue or mural or something the town loves to show off about him. interpret this task in a way that suits your abilities and interests. but you must share four things (lines of dialogue from a film or text from a book or lyric... four facts new to you... something of your choosing for each of the three. 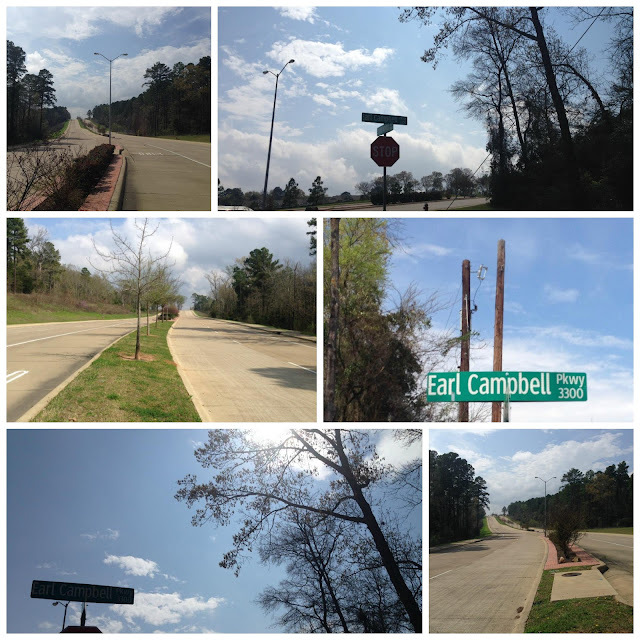 so i did this a couple of sundays ago... there's earl campbell parkway in tyler, texas. it's a nice street. if memory serves, the district's administration building and technology center are on this street. i like that. number five. delerue and silvestri. georges delerue and alan silvestri were born on march 12, 1925 and march 23, 1950, respectively. the task: watch films [FIVE for each if you can (HAH! aren't i funny?)] whose scores were composed by either gentleman. whose music do you prefer? give me five reasons why one's better than the other. i borrowed what i could find from the library. i googled some of delerue's music the night before last and listened to a few minutes from a handful of soundtracks. number six. jack nicholson won best actor twice: in the 48th academy awards on march 29, 1976 for one flew over the cuckoo's nest; in the 70th academy awards on march 23, 1998 for as good as it gets. i borrowed one flew over the cuckoo's nest from the library. I liked Cat, haven't seen the other two. Earl Campbell was a stud. Seen both Nicholson movies; both were good. 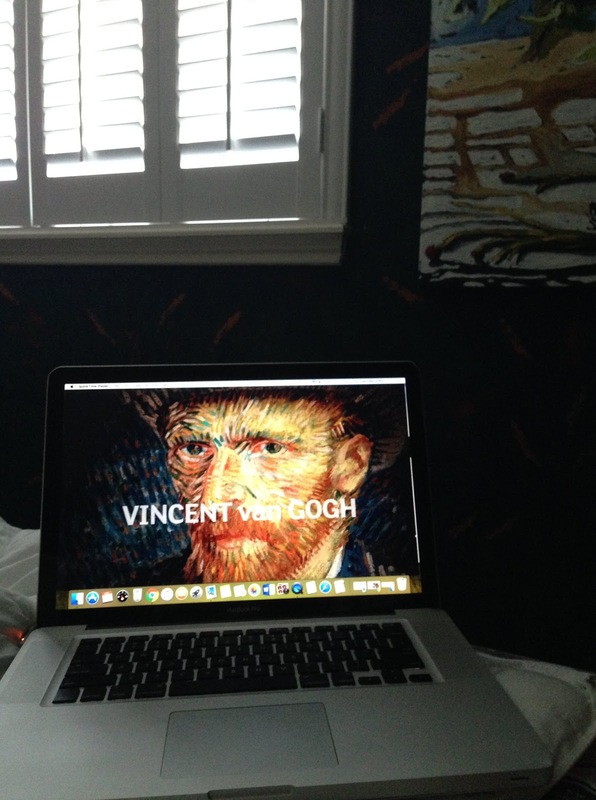 Van Gogh's life was more interesting than his art.